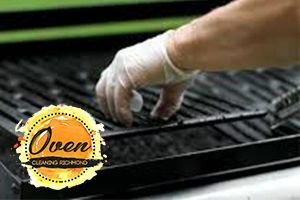 Hello and welcome to Oven Cleaning Richmond – your go-to company for premier quality sanitation services of not only ovens, but basically everything that you have at your home – appliances, carpets, furniture, etc. Our premier quality BBQ cleaning in Richmond service has become one of our best sellers. The reasons for that are simple – people love barbeque and they also prefer their grills to be clean and shiny. Our BBQ cleaning service in Richmond offers great value for money and is schedule entirely in accordance to your personal preferences and needs. Our trained technicians will come at a time that will be best fitted to your own schedule, even if that means working over the weekend. After all, it is your comfort and satisfaction that we are after. What we believe is that for a service to be not only good, but of a truly exceptional quality, it needs not only to live up to the expectations of the person who hires us in terms of results, but it also needs to be eco-friendly. That is precisely the case with our top notch BBQ cleaning service in Richmond. By using powerful equipment and chemical-free products we are going to make sure that your BBQ looks in the best shape possible and there are actually no dangerous agents that would come in contact with it. Have your BBQ wiped clean by the best experts in town right here and now. Oven Cleaning Richmond is the company that you simply want by your side and you know it. Reservations can be made through our easy to use booking form to be found on this website, as well as via phone. Do not forget to check out precisely how much we are going to charge you for the cleaning service in Richmond you chose by requesting a free no obligation quote. One thing is certain – you will not be disappointed by the deal we are going to offer to you. Solve the equation: 22 plus 2=? As well as our amazing oven, bbq and fridge cleaning services in the Richmond area, we can offer you the following additional services based on the steam cleaning and hot water extraction technologies. With the power of steam, our trained and capable technicians will remove stains, bad odour, soiling and dirt from deep in the fabrics of your carpets and rugs, thus making them look in their best shape and prolonging their life. The service is designed to remove dust, dirt, stains and allergens from your mattresses with the help of your trained staff and have the perfect place for a good night’s sleep. With our advanced equipment and tested methods allow us to clean your curtains without even hanging them down from the windows. Talk about efficiency!